Renting a condo in Chbar Ampov is an affordable and comfortable way to settle down in Phnom Penh, whether you have come to the big city for family reasons, work or for an extended holiday. Rental rates are competitive and the area is developing fast. More and more options for eating and entertainment are shooting up every day, and the diversity of residents is too. 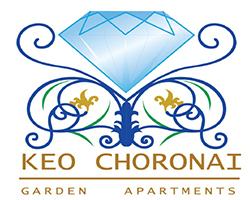 Get in quick before this area gets too popular for the current rental rates It’s a great idea to rent a condo in Chbar Ampov if you fancy living in an affordable part of Phnom Penh, with many amenities nearby, well connected to the rest of the city. Realestate.com.kh will take it from here – just throw in your search criteria above and sit back while we delivery all the latest and greatest condo rental listings in Chbar Ampov. Still not found what you were looking for? Sign up to our Property Alert tool to monitor all new Chbar Ambov rental condos as soon as they come online, and be the first to snag the rental condo of your dreams. Check out some great resources on Realestate.com.kh in our Location Profiles and Investor Guides: Learn more about Cambodia, Phnom Penh, Siem Reap & Sihanoukville. Learn more about Investing in Cambodia, Foreign Ownership in Cambodia & the Cambodian Expat Experience!